Or, see a selection of photos in the current S.T.O.R.M. Report Vol. 7 No. 8 July 18, 2018: "Summer STM Photo Blitz!" Write to OPCShortTermMissions@opc.org to be added to the S.T.O.R.M. Report Email List and receive future issues right in your inbox! There are still openings for Ministry Teams at the Boardwalk Chapel in Wildwood, NJ: August 11-18, and August 18-25. We are looking for people interested in volunteering for hurricane relief work in Puerto Rico. Site Coordinators are needed to serve with the Hurricane Relief Ministry in Houston, starting in October. 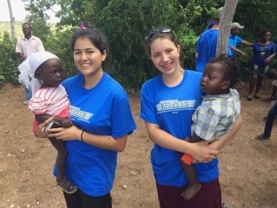 Visit www.opcstm.org to learn more about short-term missions in the OPC!